Whenever I receive a new article from Mandelman Matters I know that it will at the very least be informative and sometimes, as it was this morning, an important read for a variety of other reasons. Having recently taught a CLE class on the impact that the foreclosure crisis could have on title insurers, my research was not only extensive but instructive as well. 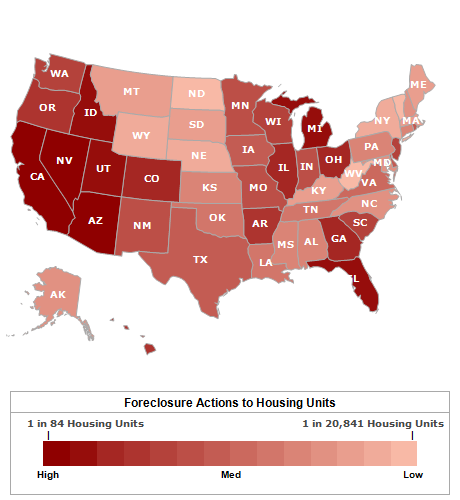 Foreclosure has its legal and financial impact without question, but potentially other, far reaching impacts as well. The following article was originally posted in 2009, but as the author says it is important to read it again. I agree! “… Losing a home to foreclosure is something most people never forget. It’s an event likely to stay with you for the rest of your life. It’s certainly not something most people think will happen to them… until it does. And it can happen to anyone at any stage of life, young, old, rich, poor… all can find themselves at risk. As the off-color colloquialism says about life… stuff happens. Although many people might not readily agree, foreclosures are statistically a “there-but-for-the-grace-of-God-go-I” type of situation. Of course, there are times when more stuff happens to more people, and today is obviously an example of such times. The economic conditions that we’re experiencing today are causing more foreclosures than at any time since the 1930s. When housing prices began to collapse a couple of years back, no one could have seen just how far things would go, and how difficult it would be to bring our economy back to life, as we’ve known it. One of the causalities of our accelerating economic downturn has been a shared understanding of its cause. Some blame our politicians, some blame Wall Street’s bankers, some blame the Federal Reserve, and we’ve all heard that it was the sub-prime borrowers themselves that are the root cause of our recession. to have been a truly random occurrence, it frightens us terribly because we can’t plan to protect ourselves from such an event. Melvin Lerner is a prominent social psychologist. In his 1980 book, “The Belief in a Just World: A Fundamental Delusion,” he argued that people want to believe in the inherent justice of the economic system in which they live, and want to believe that people who are suffering are responsible for their own situations. He conducted a series of experiments and provided empirical evidence showing that after an initial feeling of sympathy, people tend to develop negative views toward others who are suffering. And that’s the type of negative tendency that seems to be in play today. Read the full article at Mandelman Matters here.